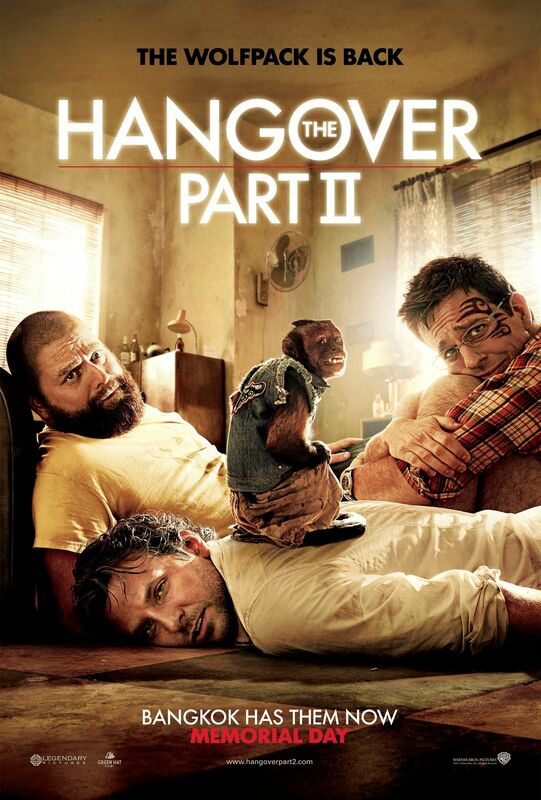 With the success of the first Hangover movie and the tracking for The Hangover Part 2 looking like it’s going to open huge, it’s no surprise at today’s Hangover 2 press conference that the cast and filmmakers would be asked about a third movie. While I thought director Todd Phillips would try to avoid the question and say something to deflect from the possibility, he actually revealed that he has an idea for a third movie and “it’s certainly not in the same template you’ve seen these movies.” He went on to say “the third would very much a finale and an ending.” More after the jump. While I’m embargoed from saying much about the second film, I think it’s safe for me to say it follows a similar path as the first one. It’s the guys trying to figure out what happened the night before. Even though they could easily make a third movie that follows the same format and it would still make a ton of money, I’m happy to hear Phillips say he has a new idea and it will break away from the format of the first two films. Phillips: If we were to do a third one, and quite honestly we really haven’t talked about it as we just finished the movie two weeks ago, this is the first time we’ve all been together in awhile. If we were to do a third one, if the audience…if the desire was there…I think we have a clear idea where that would head and it’s certainly not in the same template you’ve seen these movies and obviously we always envisioned it as a trilogy as you can imagine (lot’s of laughter), the third would very much a finale and an ending. The most I could say about it and I haven’t discussed it with these actors is that it is not following that template but very much a new idea. As far as where it takes place…I’m very open like the Olympic committee to being pitched and presented cities…flown around with wine and women and bribed and then I will make my decision. Of course a third movie is on the far off horizon, but when The Hangover Part 2 makes hundreds of millions of dollars, it’s only a matter of time before everyone agrees to do the final installment. More as we hear it.